Few methodologies have caught fire in the start up world as quickly or as wide-spread as the Lean Startup Movement. Serving as an efficiency based model for startup growth it has served as a revolution in entrepreneurial endeavors. That being said, it can be applied to businesses at any stage…even the 241 year old Marine Corps. Sometimes it can feel like your efforts to spread marketing content on LinkedIn are just a shot in the dark. LinkedIn’s new company page design, currently being tested by GE and IBM, aims to eliminate the monotonous attempts at company promotion and turn them into meaningful results. Your followers pay attention to you because you provide them some value that others can’t. The most unique insights you can provide them are often created internally which is why ‘data journalism’ might be the next trend in ‘content marketing’. Looking for more information on data journalism? Lend an ear to Opt-In! A Sales and Marketing Podcast. This episode focuses on Leveraging Empirical Content Marketing to Accelerate Sales with 5-time startup founder Kevin Dewalt. 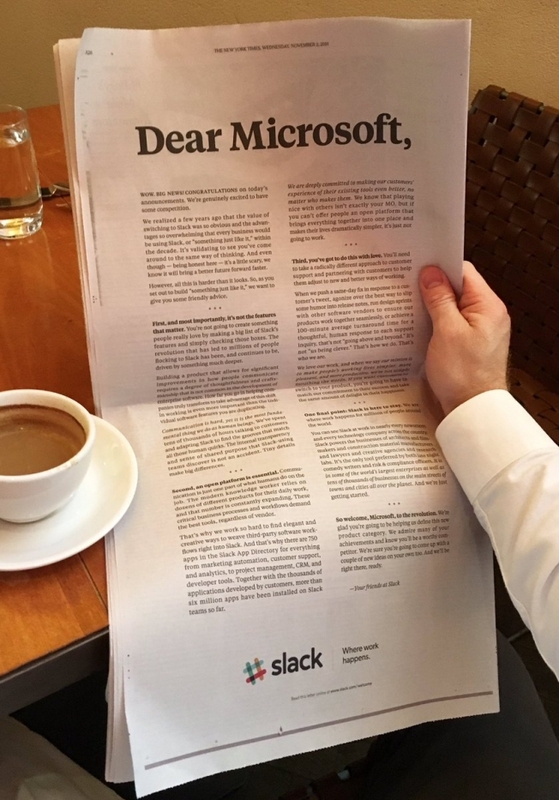 Seems like Slack might be following suit with Microsoft’s other major competitor. Another step toward the chatbot revolution. When you find out how this kid, Logan Paul (21), became worth over $1MM and landed the cover of AdWeek, you’ll be regretting your career choice immediately. Check out the 60 Minutes episode on social media influencers to appreciate the full, and somewhat scary, impact of social media on marketing.